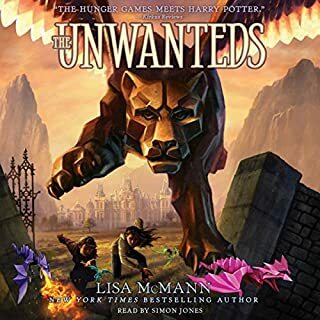 Well done continuation of the Unwanteds series! 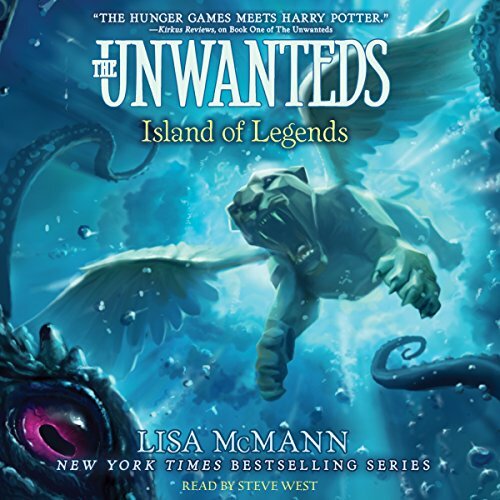 This is the 4th book in the Unwanted series by McMann. There are seven books planned in this series, with the fifth book “Island of Shipwrecks” scheduled for a February 2015 release. 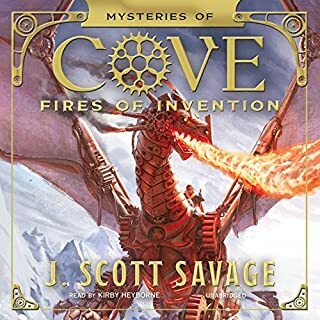 This was a good book in this series, my seven year old son really enjoys this series a lot. 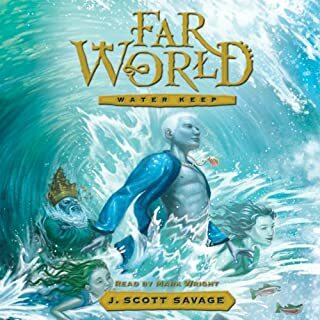 I listened to this on audiobook on a roadtrip with my family. The audiobook was very well done. The narrator did an excellent job distinguishing between the different character voices. There are a lot of characters in this book so that’s not an easy thing to do. Alex is gaining confidence as a mage and makes his first try at bringing a magical creature to life. Him and his friends journey back to the volcanic island in an effort to rescue Sky’s mother. On the way they encounter many fantastical creatures. Meanwhile Aaron is struggling to maintain rule in Quill, but things are looking more intriguing for him when he discovers some secret creature deep in the forest. Gondoleery continues to work on her magic and Eva continues to plot Aaron’s overthrow. There are a lot of characters in this book and a lot happening. I definitely enjoy Alex’s parts of the book much more than Aaron’s. Aaron is just so unlikable and hard to read about. I also enjoyed that Simber was in the story so much. Alex struggles with some large issues in this book. He has a budding romance with Sky but is worried that she distracts him too much from his job of ruling Artime. He also has some struggles with bringing a magical creature to life and second guesses himself a lot. However, Alex is growing and learning and becoming a better leader. It was nice to have the group of friends back together in this book. We meet a lot of fascinating new creatures and journey to interesting new places. I go love this world and enjoy how it has been gradually getting bigger and bigger. As mentioned above my seven year old son loves these books (he says 5 stars). ..me and my husband think they are okay (3.5 stars)...so we settled on 4 stars. There are a lot of characters in here and the story jumps around a lot; so I feel like it’s hard to get really engaged with the story or characters. I honestly find the books to be a bit boring and had some trouble with falling asleep while listening to them in the car. 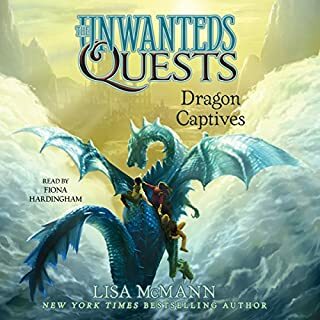 I have felt like this about all the books in this series, so I think if you are a long time fan of The Unwanteds series you will enjoy this book. If you haven’t enjoyed previous books you probably won’t enjoy this one. The book ends on an absolutely horrible cliffhanger which everyone in my family hated. So...you have been warned. Overall a good continuation of this series. Great for all ages. The world is really interesting and I love the magical creatures. There are a lot of characters to follow and I never found any of them to be all that engaging. I also thought the plot was a bit all over the place. 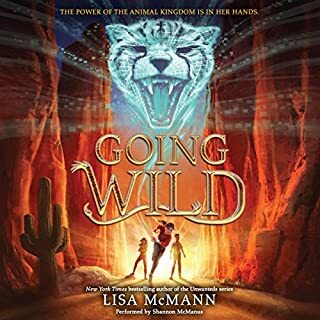 All that being said my son loves this series, so I guess I would recommend for middle grade readers. This is a great series to share with your children. 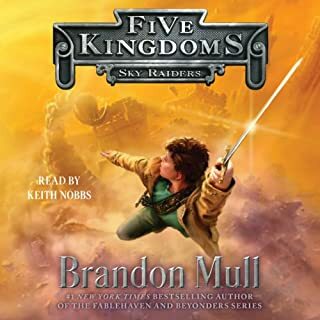 My son and I read listen in the car ride to and from school/work. It makes our commute much easier. entertaining and fun. good character development. some creative new concepts. recommended for relaxi g easy reading entertainment. Overall I enjoyed the story. It's definitely written for children; there are quite a few plot-holes, most of them the ordinary ones that come along with a world where people can cast spells. The narration is decent, but the narrator's voice for Simber really gets on my nerves for some reason. But that's just me. amazing book as always with cliff hanger , that's how I tell if a book is good or not. I love this book so much! It is a great 4th book to the series. I would recommend this book to anyone who liked the rest of the series! This would be good but for the fact that it moves so freaking slow.Why.This was the only slow book in the series.